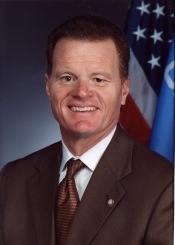 Four-term State Rep. Lucky Lamons (D-Tulsa) has decided to not run for a fifth term. A former Tulsa police officer, Lamons told the Tulsa World that it is time "for my life to go in another direction." As of this morning, no one has filed for House District 66, the seat Lamons will be vacating. You can keep an eye on candidate filings on the State Election Board's page here, or by watching the live Twitter feed here.